It was in July 2014 when Anjum Niaz, a former colleague and a friend, wrote to me: “Indeed, I too felt good after speaking with you and catching up on the past. Like you, I love delving into old relationships and events that may be pushed back in memory yet, are somehow more lucid and graphic... 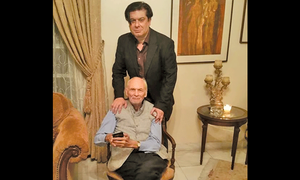 DAWN, like you, has a special place in my heart and the person at the centre of this universe is of course Khan sahab.” Both of us had been out of DAWN for some time, but the paper still held us together. This comment, from the lengthy emails we exchanged for some years, sums up my relationship with Anjum Niaz who passed away on October 21 in New Jersey, USA, where she lived since she migrated with her family in 1999. Anjum came to DAWN in 1987 as the Magazine Editor. My acquaintance with her, however, began earlier when she worked for The Dawn Media Group’s eveninger, The Star, which she had joined in 1984 after a stint in teaching. While at The Star she won the Population Institute’s Award For Excellence In Population Reporting and this being a subject I was interested in too, we found much in common to talk about. Anjum’s contribution as the DAWN Magazine Editor was immense. She injected in it ‘youthfulness and elegance’; two attributes she herself possessed. They showed in how she carried herself and her graceful ambience. Her office in DAWN was carpeted, had pictures on the wall and lovely potted plants to brighten it up. That is how she also kept her home – whether in Karachi, Islamabad or New Jersey. I always found her good for my morale, as she said I was for hers. Little acts of thoughtfulness reinforced will not be forgotten such as saving the page of The New York Times carrying my picture along with other awardees (IWMF). “I put it away safely to mail it to you in case you had not seen it,” she wrote in an email punctuated by many “WOWS”. The DAWN Magazine she edited reflected her innovative skills and creativity, her love for diversity, her exquisiteness and her English language skills in crafting words and headlines. Above all, she knew the art of motivating her writers as many would testify. She understood them well and always found time to talk to them and discuss the subjects they were to write about. That is how she could take the initiative herself to plan the magazine. 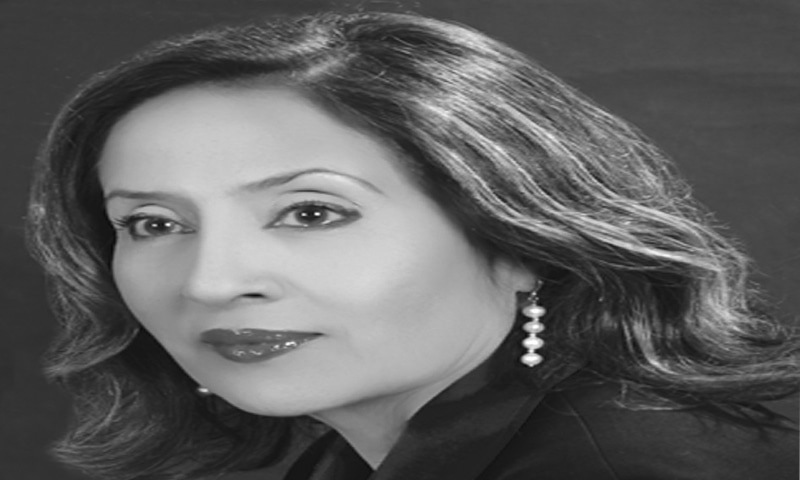 Her forte as a writer emerged fully only later when she moved to Islamabad in 1993 and began to write a weekly column called Crème de la Crème. She was also reporting and the Foreign Office was her beat until she resigned in 1996. I always found her good for my morale, as she said I was for hers. Little acts of thoughtfulness reinforced will not be forgotten such as saving the page of The New York Times carrying my picture along with other awardees (IWMF). “I put it away safely to mail it to you in case you had not seen it,” she wrote in an email punctuated by many “WOWS”. Just like Anjum; so exuberant and so thoughtful. I managed to persuade her to write her memoirs. She finally agreed, so she told me, but I do not know if she ever got down to it. She reached new heights in her journalistic career when she blossomed as a columnist. She wrote fearlessly, sparing no one who had to be chastised. She was clear about her source of information and scathing in her criticism if she felt it was deserved. At times we had minor disagreements, but they were never major enough to disrupt our relationship. Besides, we always respected each other’s opinion and agreed to disagree. We kept in touch mostly by email and by phone when I was visiting North America. The last time I was there in 2017 we couldn’t talk as she wrote to say she was busy and couldn’t talk, which was uncharacteristic of her. Maybe she wasn’t feeling well. She was a private person and never shared her personal problems. Of course there was mention of doctor’s appointments or an arthritic knee or of “old age creeping up, I guess!! !” but never anything alarming. She was as warm as ever when I wrote to her to check if I could quote her in my memoir. She had jotted down her views in 2014 on the current state of the media. The light never came for her. Her daughter Zainab wrote to me that she was diagnosed with cancer in December 2017. The deadly disease progressed rapidly and by spring, it was stage four. “She has been spared from enduring further pain and is now at peace,” Zainab wrote. RIP, dear Anjum. Hope you find laughter where you are now. How we laughed together when we shared our stories during our tea breaks in DAWN. Still, let’s continue to look for the light at the end of the tunnel. It may be there someday. Zubeida Mustafa is former Assistant Editor, DAWN, and regularly contributes to the paper. She has also won the IWMF Lifetime Achievement Award in 2012. Oh. RIP. Didnt know about her demise. Really loved her View from US columns. My God, I did not know. I cc'd her on an email just yesterday. RIP Anjum Niaz Sahiba. Sad to hear about her demise. Really enjoyed her columns. Rest in peace dearest lady. I never missed her columns, she was straight from heart. She knew my father well, also a CSP officer and a close friend of Sahibzada Imtiaz. She had several email correspondence with him and myself over the years. My last correspondence with her was in sept 2017, where she was worried for her husband's bypass surgery. Wonderful person, just like her father. May she rest in peace, and please pass on my sincere condolences to her family. Really sad to hear that she passed away. Inna Lillahi Wa Inna Ilaihi Rajioon. I always enjoyed her balanced, yet impactful articles in Dawn. A big loss for Pakistani as well as international readers ! RIP. Came to know about her sad demise just now after reading this piece. Always enjoyed her writings especially satirical one that she used to write for The Friday Times, Lahore. RIP. Sad to hear of her demise. I loved to read her weekly column on Sunday's. She passed away! I didn't know that. She was one of the columnists in DAWN who really made reading a pleasure. Such a graceful personality. RIP! Anjum wrote an article on me in one of her columns. I would off and on communicate with her. I am so sorry of her passing away may she rest in peace. I always enjoyed reading her articles. I liked the way she expressed and communicated with her readers. May Allah bless her souls. shocked and saddened over the news of her demise. Have been reading her columns for the last 20 years or so , She was brtlliant courageous and witty we exchanged a couple of e-mails; She was happy to know she had a Pakistani fan in 10th decade living in US.. Her columns stopped appearing in Engish papers for couple of years which worried me a liitle but was happy to see her columns in Urdu paper Dunya; She was equally sparkling in urdu; May her soul rest in peace. My heartfelt sympathy go her family. Saddened to hear about her. May she rest in peace. I also used to have email exchanges with her about her columns some years back. Very few could write a express the way Anjum Naz did. She will be missed. RIP. Didn’t even know she has passed away. A fine journalist. The news of Anjum Niaz's death came as a mighty blow,such a shock to me and hundreds of her column readers in Dawn.Hers were always a very well written after thorough research columns which were a pleasure to read and remember for long.May Allah bestow His Maghfrat on her and grant her a place in Janat ul Firdous.Ameen. 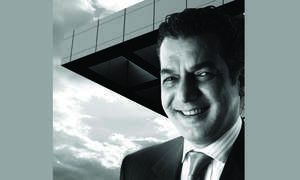 Rest in eternal peace, Anjum Niaz. What a lovely writer was she! One would enjoy her writing on all different type of topics she put her pen to. A great loss to our limited intelligentsia community. It is not often that prominent people respond to total strangers' emails. She did. A great loss forDawn readers.